Accused of consorting with demons in her home town, Xandrie flees, only to find herself in a greater danger. She’s a mere human woman, thrust in a brutal tournament pitting vicious dragon females against each other. Yet, she can’t find it in herself to give up, as the winner will Claim the throne, and more importantly, the hand of the enticing Dragon King. Age of Gold is a series of standalone fantasy romance novels. 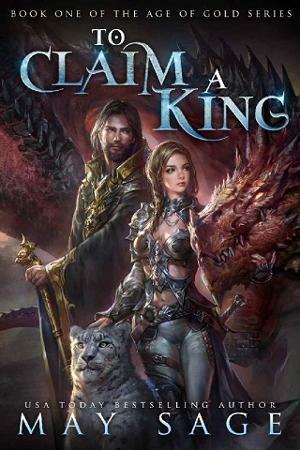 Disclaimer Unlike many fantasy books, To Claim a King is NOT a clean read. Expect swear words and adult situations. If you enjoy your books free of f-words, this one isn’t for you.